Iain Mellis looks rather stern in the photo that is emailed to me just before I interview him. 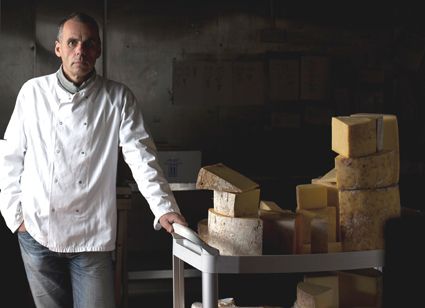 But when I speak to Scotland's best known cheese-monger, he turns out to be much more personable than his portrait would suggest, happily chatting in a self-deprecating way about how he has built up his business. 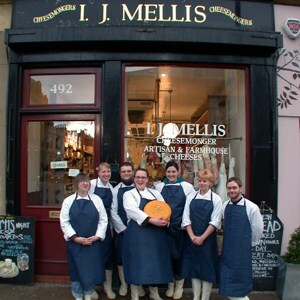 He launched his first IJ Mellis shop in Edinburgh in 1993 and has since opened five more across Edinburgh, Glasgow, Aberdeen and St Andrews. 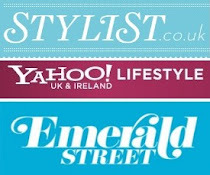 While Neal's Yard and Paxton & Whitfield fight it out in London, IJ Mellis has Scotland pretty much sewn up. Mellis' cheese career stretches back to 1979 when he left school and became a lab technician working for the North of Scotland Milk Marketing Board in Inverness. From there he ended up as a cheesemaker producing cheddar all over Scotland, before making regional cheeses for Joseph Heler in Cheshire. Mellis flirted with the idea of opening a restaurant and becoming a chef, but “my ambition had overreached my talent”, he admits. Instead, he took inspiration from the fromageries he had visited in France, and from British mongers such as Neal’s Yard in London and The Cheese Shop in Chester, and opened his first shop in Edinburgh's Victoria Street with his wife Karen. These beautiful mountains of fromage include Continental classics imported directly from producers in France, Spain and Italy, plus a wide range of farmhouse English, Welsh and Irish cheeses, from Keens cheddar to Cashel Blue. But Scottish cheeses more than hold their own against these heavyweights of the curd world. Mellis recommends the washed rind Criffel from Loch Arthur, Isle of Mull cheddar and the new Corra Linn Manchego-style cheese from HJ Errington as the country's stand-out cheeses at the moment. Most cheeses spend some time in one of Mellis' six temperature-controlled maturing rooms at the warehouse in Edinburgh, where they are matured to just the right point before being sold. Cheese maturing, also known as 'affinage', requires close co-operation with the cheesemakers to make sure cheeses are delivered at the right time and in the right condition for maturation. Anster: A crumbly, citrusy cheese from the green pastures of north east Fife. Made from unpasteurised cow's milk; it’s a bit iike a Wensleydale. Lanark Blue: Scotland’s answer to Roquefort, this sheep’s milk blue is made be Selina Cairns and has a creamy mellow flavour. Cambus O’May: Made in Royal Deeside, this raw cows’ milk cheese was launched in 2009 and has won plaudits for its rich nutty flavour.